On 24 February, the current UN Special Rapporteur on Torture, Nils Melzer, presented the follow-up report on the mission carried out by his predecessor Juan E. Mendez in Mexico on torture and other cruel, inhuman or degrading treatment or punishment to the UN Human Rights Council in Geneva. The Rapporteur regretted to conclude in his report that since his visit two years ago the situation “has not changed”, that “torture and mistreatment are still widespread in Mexico.” He noted that the “elimination of this practice is a fundamental challenge and that is why it is important to enact the General Law on Torture, with provisions that comply with the highest international standards […] so that torture, enforced disappearances, the persecution of victims and defenders of human rights and impunity cease to be part of everyday life. “ He further requested from Mexico that there be no “exceptions to the rule of exclusion of evidence obtained through torture” in that law. Tuxtla Gutiérrez, Chiapas. Pozol. January 10th. It is simpler than it seems. In Mexico as in the rest of the world, above all divisions and social differences, there is one division that determines many others: the division between the rich and poor, exploiter and exploited. Here there are two different climates, the climate of above and the climate of below. In the climate of below, today there are mobilizations against the rise in gasoline prices that in general increase the cost of life. In the climate of above, the political class continues its path of incompetence, delinquency, corruption, violence and impunity. It shows its insensitivity and its lack of interest toward the people, on the contrary, making evident its mockery and disdain for those of below. Where those of above see a game and a business, the paid media turn the protests into a source of entertainment, producing a mockery of those that do not conform. News is a commodity that is sold at a high price. The repression is thus refuted and the real causes of social discontent are obscured. In this mess, there is no lack of politicians from all across the political spectrum whom attentive, calculate the best moment to adhere to and channel, administer and sell the rage that surges from below. In this chaos, those of above win, while the ones that always lose are those of below. In this tumult that is destructive to those of below, and is sold by those of above, in the popular protests as in the repression from the state, we believe there are at least two necessary points to be analysed. 1. That which corresponds to the circumstances of protest/ repression. 2. That which digs a little deeper giving origin and substance to today’s circumstances. By the latter we mean the heart of the problem: capitalism and its logic of accumulation. The structural reforms, or the legislation of national plunder on part of the political-business class, have been widely questioned by social movements who have warned the rest of society that the violent imposition of these reforms will affect the whole of the working class. Although state violence is a constant, until now the violence toward ordinary people has not been so evident, nor has a popular rejection been so widely demonstrated. Throughout the country, protests have taken place in a peaceful manner. Mobilizations in Baja California, Durango, Sinaloa, Sonora, Nuevo León, Campeche, Chiapas, Mexico City, just to mention a few. The wide range of these protests give an idea of the extent of the discontent toward state policies that increasingly affect the lives of the working class. The response by the government to these peaceful protests has been violent repression. According to official numbers of the Secretary of Government, 1500 people have been detained. This omits the at least two people assassinated by the police in Ixmiquilpan, Hidalgo, as part of this wave of repression. Peoples of cities and regions of the country previously unrelated to popular mobilizations have intimately felt the police brutality, information censoring, and governmental cynicism that now affects them. Before it was only a far off reality and barely visible in those geographies. The militarization of the country was commonplace for the subversive movements principally of the south and southeast of the country. Since Felipe Calderón’s supposed “war on drugs”, that militarization has advanced to other territories in what has always been a war against the Mexican people. In Zapatista territories, as well as in the rebellious Indigenous territories across Mexico who organize against government crime, police-military and paramilitary repression and harassment are experienced daily. For social organizations, unions and collectives who protest against the government, this repression, surveillance, persecution and death on the part of the State isn’t new. However, it is new for those peoples who today rebel against the rise in fuel prices. The violent repression, the campaign of misinformation and discrediting, along with the death that the State orchestrated against the teachers movement in 2016 for protesting against the imposition of the so-called “education reform” now acquires another dimension for the bulk of the population. The popular mobilizations are suffering state repression and are now also being called vandals and violent, in the same way the government and media named teachers and civil society that joined earlier protests. To give a better idea, the report of human rights violations in “Operation Oaxaca” on June 19th, documented racism, police brutality and assassination with the use of high powered weapons against the civilians of Nochixtlan, Oaxaca. This included those not involved in the protests. Today, once again, government violence has resurfaced though now on a larger scale. The rulers have unmasked themselves showing their true character—as police that care for the interests of big business. Many that before had nothing to do with protest, now are victims of criminalization that the state carries out against popular mobilizations. The governmental-police violence that now covers the geographies of Ixmiquilpan or Rosarito, for example, adds to the long history of repression of popular mobilization. And it is here that we must be precise in regards to the situation. This situation is seen solely as a problem of the insatiable greed and the disproportionate cynicism of a political and business class that does not have the slightest modesty in showing its criminal face against the necessities of the people. However this understanding is nothing but the surface of a much larger problem: the general crisis of a system of social, economic, and political organization that through its violence is demonstrating its own decadence. For many years, Zapatismo has stressed the crisis of capitalism, above all for its effects on Indigenous peoples. However, the storm, like the EZLN has named this historical moment, is not limited to Indigenous peoples but threatens all of the working class, all of those of below. The territorial dispossession that rural communities suffer at the hands of big capital through megaprojects that plunder the land, water and forest—as was done 500 years ago by the other colonial powers—is also being experienced in urban centres through dispossession of marginalized neighbourhoods. This is done in the attempt to convert these neighbourhoods into new zones of the elite for those of above. This dispossession is coupled with the rising unemployment and growing precarity of labour conditions while the privileged still conserve the increasingly scarce jobs. In both spaces, urban and rural, the increase in poverty and the growing exclusion of a grand sector of the population is now more evident than ever. Just as we are experiencing the effects of the energy reform, so too will we experience the other structural reforms. The crisis of big capital observed in the contemporary moment is only overcome momentarily through the plundering of ancestral lands, through the denial of the human rights of the working class with the fictitious revitalization of these sources of profit. This dispossession is legalized through the imposition of structural reforms that plunder what little is left in the republic. 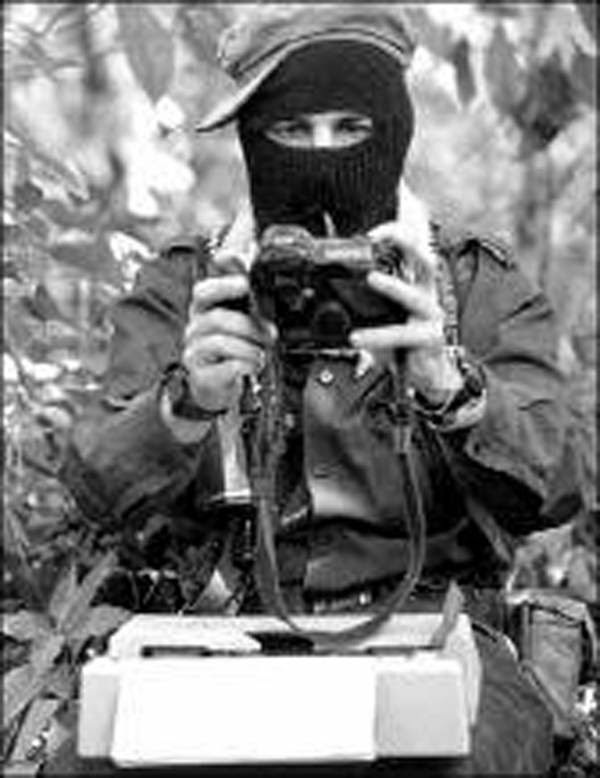 If a few years ago the warnings of Zapatismo were only perceptible to the most invisible of society, that is to say to the Indigenous peoples, now the war is being lived in the streets by those who had not thought the effects (with all their violence) would reach them. For those who still have hope in political parties and local bosses to overcome this crisis, that hope makes less and less sense every day. Thus, price increases, unemployment, migration, precarity of employment, dispossession, repression, and poverty are not passing but permanent effects of the imposition of the structural reforms for capital readjustment to continue its insatiable pathway of accumulation at all costs. What now seem to be more a crisis of the cycles of capital are nothing but the most obvious winds of the storm, without precedent in history, that batters humanity. And the storm will rise in power. There is no reason to continue to believe that this crisis will be overcome and that it is only a matter of time. Neither will it yield to eventual changes in the members that direct the chaos. None of the political parties have signalled the truthful origin of the crisis. Not one politician has attacked, not even in discourse, the major interests of big business, let alone the logic of capital. For the pathway that they have signalled to us from above, not only will the storm continue, but it will also be accentuated unless organization and resistance against capital comes from below. For example, like the Indigenous peoples have shown, organizing the discontent and constructing new forms of social relations and governance. In the midst of these ominous times that those of above have produced against the people, and against the disaster that the policies of above have provoked upon those of below and the natural world, it seems to already be the time for those of below. That is, already, the hour of the people. This is the time of the originary peoples, the time for us to replant and rebuild ourselves. It is time to go on the offensive and this is the agreement that we have laid out for how to do so, from our perspective as individuals, as communities, as originary peoples, and as the National Indigenous Congress [CNI]. It is time for dignity to govern this country and this world and for democracy, liberty, and justice to flourish in its step. We are announcing here that during the second phase of the Fifth National Indigenous Congress we meticulously analyzed the results of the consultation process that we held among our peoples during the months of October, November, and December of 2016. In that process, we issued agreements from communal, ejidal, collective, municipal, inter-municipal and regional assemblies in all of the ways, forms, and languages that represent our peoples in the geography of this country, once again bringing us to understand and confront, with dignity and rebellion, the situation that we face in our country and the world. We appreciate the messages of support, hope, and solidarity that came from intellectuals, collectives, and peoples in response to our proposal entitled “Let the Earth Tremble at its Core,” which we made public during the first phase of the Fifth National Indigenous Congress. We also acknowledge the critical voices, many of them making fundamentally racist arguments, that expressed indignant and contemptuous rage at the idea that an indigenous woman would aspire not only to contend for presidential election, but would propose to truly change, from below, this broken country. While the country is submerged in fear and terror born from the thousands of dead and disappeared, in the municipalities of the mountains and the coast of Guerrero our peoples have created conditions of real security and justice. In Santa María Ostula, Michoacán, the Nahua people have united with other indigenous communities to ensure that security remains in the hands of the people. The epicentre of the resistance there is the communal assembly of Ostula, the guarantor of the ethic of a movement that has already permeated the municipalities of Aquila, Coahuayana, Chinicuila, and Coalcomán. In the Purépecha plateau, the community of Cherán has demonstrated that by organizing to eliminate the politicians from their bad government structure and by exercising their own forms of security and government they could not only construct justice, but also, as in other geographies across this country, they showed that only from below, from rebellion, can a new social pact be constructed that is autonomous and just. And we have not and will not stop constructing from below the truth and justice denied to the 43 disappeared students from the teacher’s college of Ayotzinapa, Guerrero, the 3 student compañeros who were murdered, and their compañeros who were injured, all by the Mexican narco-government and its repressive forces. Meanwhile, all levels of the bad governments criminalize social struggle and resistance and rebellion, persecuting, accusing, disappearing, imprisoning, and murdering the men and women who struggle for just causes. While destruction reaches every corner of the country, knowing no limits and distancing people from their land and from that which is sacred, the Wixárika people, together with the committees in defense of life and water from the Potosino altiplano, have shown that they can defend a territory and their environment and can create an equilibrium based in an identification with nature, with a sacred vision that recreates, every day, the ancestral links with life, land, the sun, and the ancestors, reaching across 7 municipalities in the sacred ceremonial territory of Wirikuta in San Luis Potosí. While the bad governments deform State policies on education, placing education at the service of capitalist corporations such that it ceases to be a right, the originary peoples create primary schools, secondary schools, high schools and universities with their own educational systems, based in the protection of our mother earth, in defense of territory, in production, in the sciences, in the arts, and in our languages. Despite the fact that the majority of these processes grow without the support of any level of the bad government, these institutions are meant to serve everyone. Meanwhile, the paid media – spokespeople for those who prostitute every one of the words that they circulate and fool the people in the country and the city so that they don’t wake from their slumber – criminalize those who think and defend what is theirs, making them out to be delinquents, vandals, and misfits, while those who benefit from ignorance and alienation are the ones with high social status. Those who oppress, repress, exploit and dispossess are always made out to be the good guys, the ones who deserve to be respected and allowed to govern so that they can serve themselves. While all of this is happening, the communities have made their own media, creating ideas in different ways so that conscience cannot be overshadowed by the lies that the capitalists impose, and instead using them to strengthen organization from below, where every true word is born. While the representative “democracy” of the political parties has been converted into a parody of the popular will, where votes are bought and sold like any other commodity and poverty is used to manipulate people so that the capitalists can maintain the division between the people of the countryside and the city, the originary peoples continue to care for and strengthen their forms of consensus and to cultivate assemblies as organs of government where through the voice of everyone together profoundly democratic agreements are made, across entire regions, through assemblies that articulate with agreements of other assemblies, which themselves emerge from the profound will of each family. While the governments impose their decisions to benefit the few, supplanting the popular will of the people and criminalizing and repressing whoever opposes their projects of death which they impose at the cost of the blood of our peoples—such as the New Airport of Mexico City, pretending to consult them while actually imposing death—we originary peoples have consistent ways and forms for free, prior and informed consent, however small or large that may be. While the bad governments hand energy sovereignty over to foreign interests through privatization, and the high cost of gasoline reveals the face of capitalism which in fact only opens a road toward inequality and the rebellious response of the indigenous and non-indigenous peoples of Mexico, the powerful can neither hide nor silence this rebellion. We peoples unite and fight to stop the destruction of our territories through fracking, wind farms, mining, oil wells, and gas and oil pipelines in the states of Veracruz, Sonora, Sinaloa, Baja California, Morelos, Oaxaca, Yucatán and the entire national territory. While the bad governments impose their toxic and genetically modified food on consumers across the countryside and in the cities, the Mayan people continue their indefatigable struggle to stop the planting of genetically modified seed on the Yucatan peninsula and across the country in order to conserve the ancestral genetic wealth that also symbolizes our life and collective organization and is the basis for our spirituality. While the political class only destroys and makes empty promises, we peoples build, not only in order to govern but also in order to exist with autonomy and self-determination. Our resistances and rebellions constitute the power of below. We don’t offer empty promises or actions, but rather real processes for radical transformation where everyone participates and which are tangible in the diverse and enormous indigenous geographies of this nation. This is why, as the National Indigenous Congress, which brings together 43 peoples of this country in this Fifth Congress, WE AGREE to name an Indigenous Governing Council with men and women representatives from each one of the peoples, tribes, and nations that make up the CNI. This council proposes to govern this country. It will have an indigenous woman from the CNI as its spokesperson, which is to say a woman who has indigenous blood and who knows her culture, and this indigenous woman spokesperson from the CNI will be an independent candidate for the presidency of Mexico in the 2018 elections. This is what we have invented and reinvented, not simply because we want to, but because it is the only way that we have to continue existing – by following new paths forged from the collective memory of our own forms of organization and that are the product of resistance and rebellion, in order to confront, every day, the war that has not ended and yet has not been able to do away with us. Using these forms it has not only been possible for us to build a path toward the full reconstitution of our peoples, but also toward new civilizational forms. In other words, it has been possible to build collective hope that is transformed into communities, municipalities, regions, states, and which is able to respond precisely to the real problems that the country is facing, far away from the political class and their corruption. From this Fifth National Indigenous Congress, we call on the originary peoples of this country, the collectives of the Sixth, the workers, the coalitions and committees who struggle in the countryside and the city, the students, intellectuals, the artists, and scientists, the elements of civil society that are not organized, as well as all good-hearted people to close ranks and go on the offensive. We call on you to dismantle the power of above and to reconstitute ourselves now from below and to the left, not only as peoples but as a country. We make a call to come together in a single organization where dignity will be our final word and our first action. We call on all of you to organize with us to stop this war, and to not be afraid to build ourselves and sow our seeds on the ruins left by capitalism. This is what humanity and our mother earth demand of us. It is the time for rebellious dignity. We will make this a material reality by convoking a constituent assembly of the Indigenous Governing Council for Mexico in the month of May 2017. From there we will build bridges toward the compañeros and compañeras of civil society, the media, and the originary peoples in order to make the earth tremble at its core, to overcome fear and recuperate what belongs to humanity, what belongs to the earth and what belongs to the peoples. We do this so that we can recuperate the territories that have been invaded or destroyed, so that the disappeared of this country can be returned, so that all political prisoners are freed, so that there can be truth and justice for all of those who have been murdered, so that there can be dignity for the countryside and the city. That is, have no doubt, we are going for everything, because we know this might be the last opportunity we have as originary peoples and as Mexican society to peacefully and radically change our forms of government, making dignity the epicenter of a new world. Once again they attack us, threaten us and beat us. They try to destroy our resistance, our life. Once again we resist and continue to build where they destroy. Once again, as they have done for more than 500 years, they believe they are the owners of the lands and the peoples. Once again we reclaim and defend the common wealth that is owned by no one but the peoples. This time it was the compa Domingo Pérez Álvaro who was first threatened first, then beaten and wounded. We must let them know that when they beat Domingo they beat all of us, and that we will continue moving forwards for Domingo and for his family and for all the compas of the community of San Sebastián Bachajón, who will remain standing for as long as one of them still lives. Aristegui Noticias: On the orders of a drug cartel capo, soldiers of the 27th Infantry Battalion carried out an operation to retrieve a shipment of heroin with an estimated value of $2 million dollars, which was hidden in two buses taken by the Ayotzinapa normal school students in the Iguala bus station on the evening of September 26, 2014. So the book ‘The True Night of Iguala’ reveals. Based on interviews with a key Guerrero drug trafficker and the direct testimony of others, the journalist, Anabel Hernández, broadens and deepens what was previously reported in the magazine Proceso, on how the Battalion took control of Iguala during the hours that the 43 youths from the Raúl Isidro Burgos Rural Normal School were disappeared, whose fate is still unknown. Hernández received a hitherto hidden document from the PGR [Attorney General’s Office], in which the General Inspector of the agency called for an investigation of the 27 Infantry Battalion. By presidential orders, the investigation was stopped, the journalist says. César Chávez Alejandro Flores, the visitor who drew up the “legal technical evaluation”, was forced to submit his resignation to the Attorney General last September. If the case of Ayotzinapa rocked the country, ‘The True Night of Iguala’ represents another jolt of great significance. The collaboration of the military with drug traffickers is revealed in the book: “On the night of September 26, 2014, a drug dealer with a significant level of operations in Guerrero, who was in Iguala, was informed that students from the Ayotzinapa Normal School were aboard two buses in which a shipment of heroin with a value of at least two million dollars was hidden. The students did not know that they were traveling with the precious cargo and that their destiny was bound to it. “Although the capo was accustomed to trafficking several tons of heroin, the amount that the buses were carrying was not small, and he could not allow that theft, although it was accidental. If he tolerated it, control of his turf would be lost. “‘If you kill for twenty thousand dollars, then for two million? It’s a way of operating. The recovery of the merchandise was a matter of money and an issue of authority, if the robbery were allowed, then there would be more,’ explained one credible informant with whom several meetings were held during fifteen months of this investigation. “The drug trafficker in question had at least eight years working in the state, first as a collaborator with Arturo Beltrán Leyva, with whom he smuggled drugs into the United States as a minority partner. He eventually acquired more power, and managed to maintain a discreet profile; his name is never mentioned in the criminal cases of other members of that cartel. “In 2009, when Arturo Beltrán Leyva was killed [by the military] in Cuernavaca, the boss decided to continue with his own operations, using Guerrero as a basis. In order to have control of the area, he had on his payroll soldiers from the 27th and 41st Infantry Battalions, Federal Police, Guerrero State Ministerial [investigative] Police, Federal Ministerial Police, Iguala Municipal Police and various officials from nearby municipalities, as well as in the mountains, where poppies are grown and processed into heroin. “When the loss of the precious cargo was reported to him, the boss would have made a call to the infantry Colonel José Rodríguez Pérez, Commander of the 27th Battalion, asking him to recover the goods at any cost. The Army was the security force that had the most authority in the city. Perhaps the drug trafficker didn’t realize the magnitude of the operation to recover the drugs. “‘The Army itself was the one that led the operation to rescue the drugs,’ said the source of information who was aware of the facts. “The expert ballistics studies obtained in this investigation, as well as the way the facts fit together, suggests that the Estrella de Oro buses #1568 and #1531 were loaded with drugs and were the target of attacks that night. They stopped the first at the intersection of Juan N. Alvarez and Periferico Norte [North Ring Road] and the second on the Iguala-Mezcala road near the Palace of Justice, with the help of the Municipal Police of Iguala Huitzuco and Cocula and of the Federal Police and the Ministerial Police of Guerrero. The book, published by Penguin Random House, under its Grijalbo label, will be released at the beginning of next week and will be presented on December 1 at the Guadalajara International Book Fair. At a press conference on October 27 last, ejidatarios from San Sebastián Bachajón, adherents to the Sixth Declaration of the Lacandon Jungle of the EZLN, denounced the threats that its authorities have recently been receiving, “including compañero Domingo Perez Alvaro, human rights promoter of La Sexta, ejido Bachajón, and other authorities.” They explained that there are threats of arrest or abduction by the ejidal commissariat C. Manuel Guzman Alvaro’s people, and were informed by third aprties that, “compañero Domingo Perez Alvaro is first on the list of threats and then the other authorities of La Sexta”. Wine consumption in Mexico has gone up in the last ten years. Its consumers have grown significantly. The sweet nectar has ceased to be the tipple of executives with high purchasing power and more and more women and young people are drinking it. But behind a few of the glasses of wine savoured in this country, lies a bitter tale of dispossession. Nearly 30% of national production comes from Baja California, and there, one of the most important wine companies in the country, LA Cetto, dispossessed and invaded lands belonging to the Kiliwa people. It intends to claim ownership of national lands that do not belong to it. The Kiliwa are one of the five originary peoples of what is now Baja California. The company LA Cetto intends to claim legal ownership of national lands in possession of the indigenous group. The winemakers are aided by the complicity of the Agrarian Bureau (Procuraduría Agraria), which on two occasions has “lost” the files that show that the native dwellers are in the right. As the Kiliwa chief Elías Espinoza Álvarez denounced, the agrarian authorities themselves are the ones putting pressure on the indigenous people so that we give in to the businessmen and accept unjust and inequitable conditions in contracts. As if that weren’t bad enough, the National Water Commission (Comisión Nacional del Agua – CONAGUA) gives this company special treatment, having authorised it to dig a well for drinking water, while denying the same for the indigenous people. And on top of that, LA Cetto has blocked right of way on a route the locals have always used. Something similar is going on with fruit and vegetables for export, cultivated thanks to indigenous labour in Michoacán, Sinaloa and Baja California. Behind the strawberries, cranberries, blackberries and raspberries, the rocket, endives and chicory, the many varieties of tomato that are used to create succulent dishes, lies a long history of grievances. The names of the companies and businessmen who reap the riches of these feasts are well known. Until a short time ago it was the pleasure of the Secretary of Rural Development of Guanajuato, Javier Usabiaga, nicknamed The Garlic King. Or there’s the transnational Driscolls, who’ve been in and out of the dock thanks to popular boycotts. The indigenous labourers who plant the seeds of these culinary riches suffer a level of exploitation equivalent to that suffered by their ancestors during the Porfiriato (turn of the century dictatorial regime of Porfirio Díaz). Pitiful salaries and interminable working days are the rule. They have no paid holidays, social security or days off. Instead of going to school, their small children work alongside them in the fields. They normally live packed into huts or in modest houses that lack basic amenities. Clean drinking water tends to be a luxury. But the inhuman exploitation which the indians suffer goes unnoticed in Mexican society. It’s “normal”. From time to time, as with the strike by agricultural labourers from San Quintín, the world realises they exist. Once in a while, it is reported that Rarámuris or Mixtecos live in conditions comparable to slavery in ranches in Jalisco, Colima or Ensenada. But more often, they are as imperceptible as Garabombo, Manuel Escorza’s famous character. As in the case of the wine or the blackberries, behind a cup of coffee it’s not unusual to find a story of dispossessed originary peoples. 70% of cultivators of the bean in Mexico are indigenous people, who generally have plots of no more than two hectares. Coffee-growing is their way of life and the backbone of their existence. But transnational companies, colluding with the government, are trying to have these coffee producers abandon their livelihoods, or plant low quality types of coffee. The old coffee plantations are being flattened by a combination of plagues and voracious businesses. Until recently, coffee plantations were protected by the shade offered by other plants (chalahuites, citrus trees, ixpepeles, gourds, banana plants and jinicuiles). Today they are but a shadow of their former selves. Amongst others, there are two main big companies involved: Nestlé and Coca-Cola. Apart from coffee, Nestlé sells artificial flavourings and promotes the substitution of arabica for robusta, a poorer quality bean they need for their blends. Coca-Cola, through the brand Andatti, sold in their 10,000 Oxxo shops, has inundated the market with poor coffee. In the third forum of originary peoples of the Tarahumara sierra in defence of their territories, Rarámuris and Odamis recognised that their main problems are the dispossession of their lands, the exploitation of their natural reserves and the intervention of transnational and local businesses. They agreed the need to all fly together (all the indigenous peoples), to be collectively stronger. The Kiliwas and agricultural labourers have come to similar conclusions, as have the small-scale coffee growers and hundreds of communities all over the country. Made invisible by the powerful, the organised originary peoples together with the National Indigenous Congress (Congreso Nacional Indígena; CNI) and EZLN will today discuss whether to support the candidacy of an indigenous woman in the 2018 presidential elections. A candidacy that forces Mexican society to take a look at itself. A candidacy that speaks not only of poverty and inequality, but of exploitation, dispossession and discrimination. A candidacy that allows them all fly together, to be collectively stronger. On October 14th of this year, the National Indigenous Congress [CNI] and the Zapatista National Liberation Army [EZLN] made public an historic document with the prophetic title of: “May the earth tremble at its core,” at the conclusion of the 5th National Indigenous Congress at Cideci-Unitierra, Chiapas. The text is not the product of the occurrence of one person or minority group, but rather the result of six days of gruelling and prolonged work sessions, carried out based on the well-known method of the original peoples of debating until achieving consensus. It is not about a so-called ethnocentrism, self-centred on indigenous peoples, but rather, on the contrary, it is about an exhortation that, starting with a secular form of struggle, rooted in big historic events with a strong indigenous presence –like the wars for Independence and Reform, the fight against foreign invasions, the Revolution against the dictatorship of Porfirio Díaz–, calls upon all of us to organize collectively in rebellion against the bad government that has delivered the homeland to the corporations and crime. And, effectively, as was foreseeable, the political class trembled repeatedly… and they didn’t expect the marked reactions of secular racism from those creole-mestizo mentalities that couldn’t conceive of the indigenous thinking for themselves, as well as the ideological-political monologue of a “partyocracy” that considers “unity on the left” with arguments like the “least bad,” or “democratic alternating,” the monopoly of “national and popular representation,” and that has not issued any pronouncement against the real, open and shadow powers that have led Mexico to a humanitarian emergency and, above all, that is not capable of respecting the collective decisions, now in consultation, of the country’s most exploited, discriminated and oppressed sectors. Welcome to this initiative that makes you think, act and even argue, beyond singular thoughts, personalities and preconceived ideas. Our organisation, the autonomous ejido San Sebastián Bachajón has been defending the Earth and our territory for many years. We have been struggling in defence of Nature since the 14th of March 2007. That’s 11 years of dignified struggle. A lot of compañeros have lost their lives defending Mother Earth and other people have also been unjustly imprisoned for doing the same. The bad government has incarcerated 130 of our compañeros simply for their uncompromising commitment to defending Mother Earth. At the moment 3 compañeros are unjustly held as prisoners in different penitentiary centres, where they are denied their freedom. For all of this, we demand that you respect our struggle, our organisation, our autonomous authorities and the spilled blood of our fallen compañeros. Combative greetings to all compañeros and compañeras and your organisations and communities in resistance from the ejido San Sebastián Bachajón, adherents to the Sixth Declaration. We celebrate the 20th anniversary of the National Indigenous Congress and send a combative greeting to all compañeros and compañeras who are present in Chiapas for this. We want to use this opportunity to tell you what’s been happening in our community San Sebastián Bachajón. We want to share our outrage about what the official commissioner Manuel Guzmán Álvaro, elected by the ejidatarios’ general assembly 18 April of this year, has done. As an indigenous and organised community we are aware that the bad government wants to displace us and that Manuel Guzmán Álvaro is part of that plan. On the 23rd of September 2016 the officialist ejido commissioner Manuel Guzmán Álvaro, along with a group of ejido residents, entered into our ejido’s territory, which has access to the Agua Azul waterfall, with the intention of displacing us. Another group of compañeros headed up by Manuel Jiménez Moreno, Juan Álvaro Moreno, Daniel Moreno Gómez, Carmen Aguilar and others had been collecting the fee to visit the Agua Azul waterfalls. This is the same place where our organisation had had its headquarters until it was burned down on 21 March 2015. Immediately after Commissioner Manuel Guzman Alvaro’s arrival, the State Preventive Police took control of our headquarters, and for this we declare our rejection of police presence and the fact that the commissioner facilitated this incursion. This act demonstrates the desire to displace us from our land, and sends signals that Manuel Guzmán Álvaro is a servant of the bad government and a threat to the autonomy of San Sebastián Bachajón. This is the same commissioner Manuel Guzmán Álvaro, who along with his supervisory board, publicly circulated on the 30th of September 2016 via the web page “Chiapas denuncia pública” (http://chiapasdenuncia.blogspot.mx/2016/09/ejido-san-sabastian-bachajon-exige.html) his version of what happened at the Agua Azul Waterfall toll booth. They demand to be recognised as the authorities and are carrying out blockades in various points in order to be heard. But in reality, they are not respecting our dignified struggle, our territory and autonomy as a community. Nor does the commissioner respect his own campaign commitment when he said he would not permit the bad government and their police entry to our land. But in reality what is happening is a trick to fool public opinion that this movement is one for truth, when in reality it is follows the same interests of the out-going commissioner Alejandro Moreno Gómez and the former commissioner Francisco Guzmán Jiménez also known as “el goyito”. Their actions are moving in the same direction as the bad government, and follow the lines as signed in agreement by Francisco Guzmán Jiménez with Juan Sabines Guerrero. Our organisation, the autonomous ejido San Sebastián Bachajón has been defending the Earth and our territory for many years. We have been struggling in defence of Nature since the 14th of March 2007. That’s 11 years of dignified struggle. A lot of compañeros have lost their lives defending Mother Earth and other people have been unjustly imprisoned for also defending Mother Earth. The bad government has incarcerated 130 of our compañeros simply for their uncompromising commitment to defending Mother Earth. At the moment 3 compañeros are unjustly held prisoner in different penitentiary centres, where they are denied their freedom. For all of this, we demand that you respect our struggle, our organisation, our autonomous authorities and the spilled blood of our fallen compañeros. The dignified struggle is not for sale. It is built day after day, it is built in the memory of compañeros. We will continue standing and we will not permit the bad government to continuing buying the conscience of our indigenous communities. This is actually what is happening when the ejido commissioner allows the police and army to enter into our territory. We are aware that what he wants to do is create a paramilitary force to finish off our struggle. He wants people to think that his struggle is also dignified when in reality what he does is contrary to what he says. Further he has no knowledge about what the bad government really wants to do to our community and territory. No more unjust imprisonments. We demand immediate freedom for our compañeros Esteban Gómez Jiménez imprisoned in Cintalapa de Figueroa, Chiapas (amate #14) Santiago Moreno Pérez and Emilio Jiménez Gómez, prisoners in Playas de Catazaja, Chiapas (ceress #17) who were imprisoned for having a commitment to struggle for and defend Mother Earth. We also demand freedom for all men and women political prisoners in Mexico and the world. The women and men from the northern zone in the state of Chiapas, from the community of San Sebastián Bachajón send combative greetings to all of you compañeros and compañeras, communities and people of Mexican and the world who struggle and resist against the bad governments. Immediate return of our disappaired and murdered compañeros from the Teachers School – Normal Raúl Isidro Burgos de Ayotzinapa!